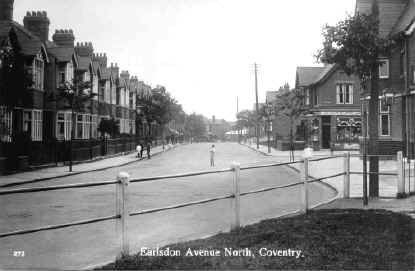 As with most of the post war views of Earlsdon residential streets, the frontages are complete and are recognisable to any resident today. Nevertheless the differences in the details still fascinate as here. The up-market tree-lined road makes a rare excursion north of the Albany Road/Earlsdon Street axis. 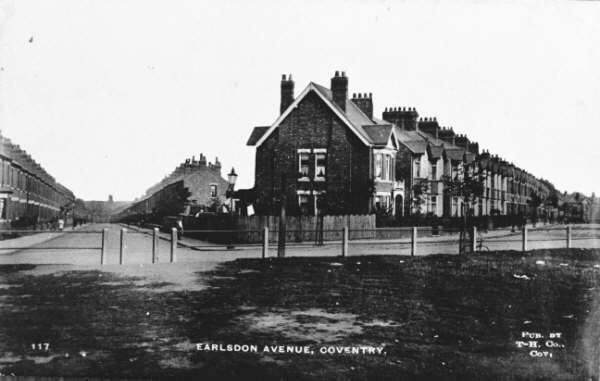 On the other hand naming it as Earlsdon Avenue would seem to force the developers hand, but other instances elsewhere in Coventry suggest that does not mean trees have to make an appearance! 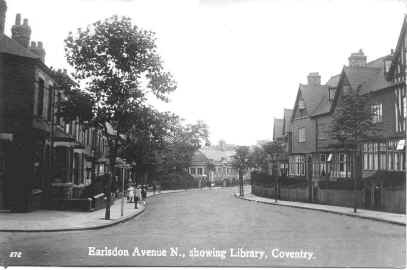 The curves of the old Earlsdon Lane have been preserved here, quite a relief from the majority of streets that have been planned with the subtlety of a ruler. The railings` on the edge of Hearsall Common symbolically protect the old Earlsdon from the new. 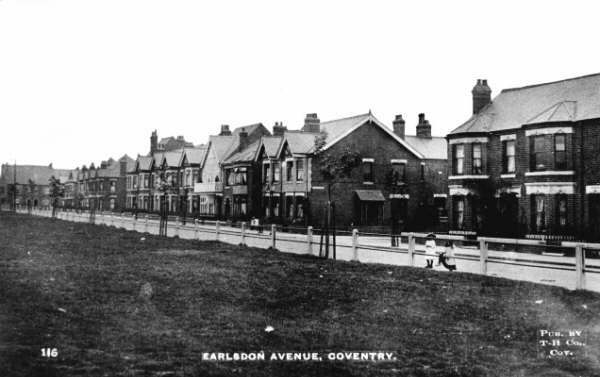 But by 1927 they would not be needed as Coventry Freemen lost the right to graze their animals on the common. The Clarence pub is to the right with Coniston Road just beyond with its particularly large general store. Telegraph poles are a more prominent part of this post war scene, but the road is still free of traffic, unless the boy is playing chicken!